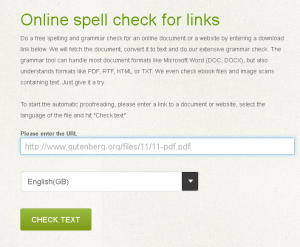 Online Spellcheck is a free spell checking service with which you can double-check your texts for correct spelling and grammar. The spellchecker works for over 20 languages, and though we use English as communication language for our blog, the spellchecker is used by people of many countries. 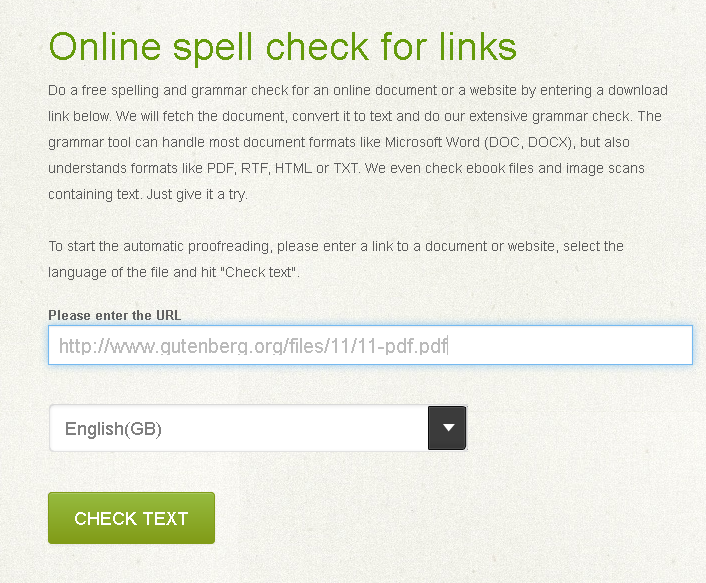 If you are not familiar with this site, you can read this tutorial to learn how to use this free online spellchecker. Online Spellcheck is a free service. You can use the app without registering as often and long as you wish or need. Registration is needed for advanced usage, as this enables us to give you access to a personal dashboard where you can customize the spellchecker for your needs. The tool will access the linked online document or website and download it from the web. Then it will be converted automatically into any text format like Word or PDF. 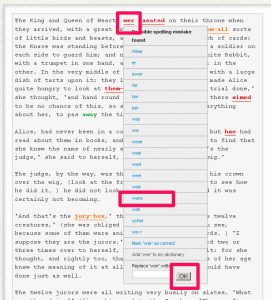 After downloading, Online Spellcheck checks for spelling and grammar errors and presents the results in the same way as if you had pasted the text manually. This works almost instantly. After correction you can download the correct version as text file or PDF, print it or send it by email to your mailbox. This method sometimes gets an error due to restrictions on websites or html-sites where scripts block the software. In this case, you will see the error message right away and can choose another option. In each case the result is the same: Your text appears in a new field and shows some automatic correction, some errors to fix and some marked text where the spellchecker is not sure about the correctness. The spellchecker recognizes over 20 languages, but there are some cases where you should manually select the correct language. Otherwise you will get marked correctly spelled words in British English as errors because you chose US English, and viceversa. In this example you see the difference: In the first text the word “neighbour” is marked wrong, as the chosen language was American English. There is no error marked if you choose British English instead. Once the spellchecker has done its job, it’s time to go into a detailed check. The words that appear in green text have been automatically corrected by the online spellchecker. The words in orange text are marked as “suspicious”, as it may be correct, but is not found in the database. 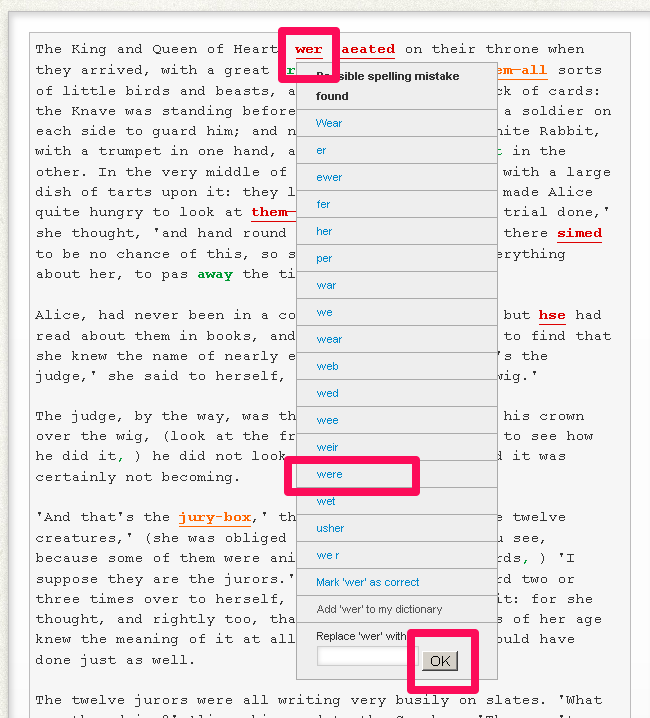 The words or punctuation marks found in red color are marked as error that you can choose to correct. 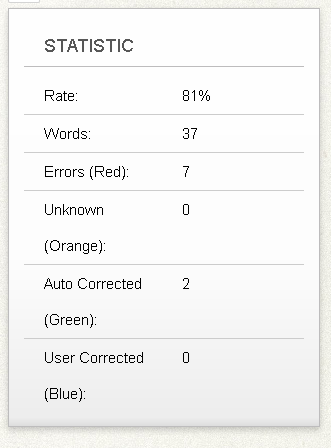 You can go through the text and choose one from the proposed corrections of the spellchecker. If you know that none of the offered solutions fits, you can correct it manually in the text field and click OK. The manual corrections will be colored with blue text. You can’t add any words to the dictionary unless you register for a free account. If you are going to be a regular user and you know that your texts will contain special vocabulary that you don’t want to see marked every time you use the spellchecker, you should get an account. This way, you will be able to add your own definitions and rules to the spellchecker and save time with future documents. 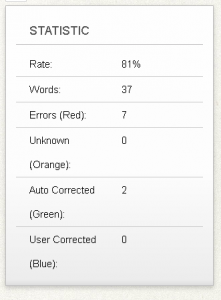 With the registration you get access to your own dashboard, where you can save the uploaded or corrected texts. This is done by default. You can also delete any text you uploaded or corrected to keep your dashboard clean by viewing it and deleting it from the open view. 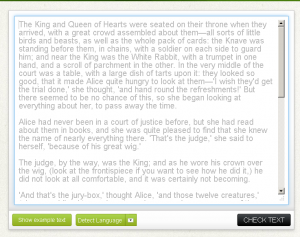 Another feature for registered users is the possibility to edit texts and re-check them again with the spellchecker. 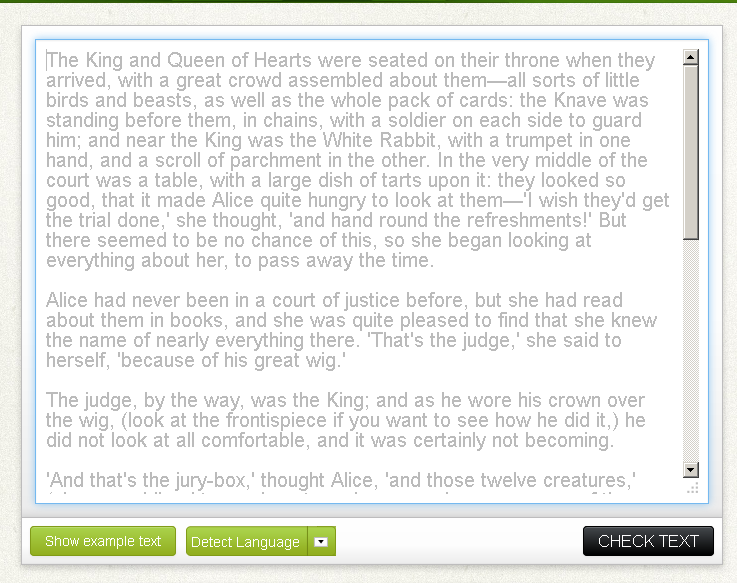 If you decided to keep the text in your dashboard, you can add text and check it again like in any word document. This way, changes and corrections are kept in order. Finally, you can add words to your private dictionary and thus build your own word database. 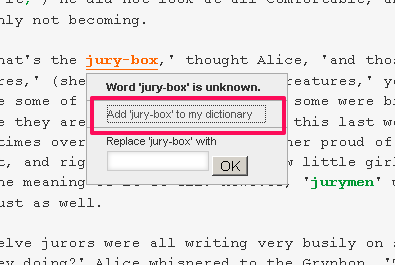 This dictionary is quite simple: It saves the words where the spellchecker previously marked an error but you told the software it was not. This way you can reduce false positives with every new text you proofread. ‹ Always trouble with little nasty commas?